The ONE Campaign and Engineers without Borders Canada (EWB) have formed a new partnership to amplify the voices of the 94 percent of Canadians who believe that it is important to improve health, education and economic opportunity for the world's poorest people. The #PoliticsAside campaign will seek commitments from federal candidates in the upcoming elections to support Canada's international development efforts. "With 94 percent of Canadians saying that it's important to improve the health, education, and economic opportunity of the world's poorest people, now is a critical time to strengthen Canada's commitment to poverty reduction," ONE Canada Director Stuart Hickox said. 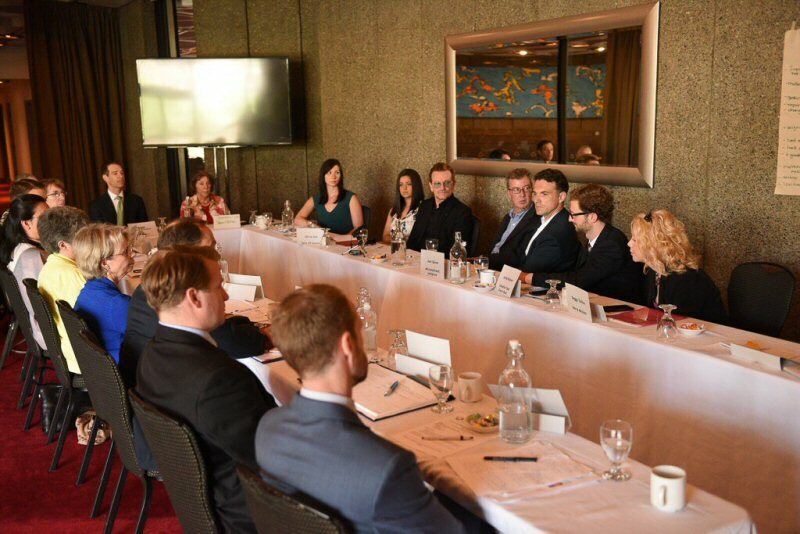 "Our partnership with Engineers Without Borders Canada is an exciting and important part of a deeper engagement by ONE with the Canadian public and candidates for federal office. ONE hopes that Canadians will come together around their shared desire for meaningful action against poverty." "This strategic partnership between Engineers Without Borders Canada and the ONE Campaign will help amplify the #PoliticsAside message and, by extension, the voice of Canadians across the country," Engineers Without Borders Canada CEO Boris Martin said. "Seventy-six percent of Canadians have told us they believe it's a moral obligation to contribute to global poverty reduction and Canadians have also said they expect our country to show leadership in reducing global poverty." 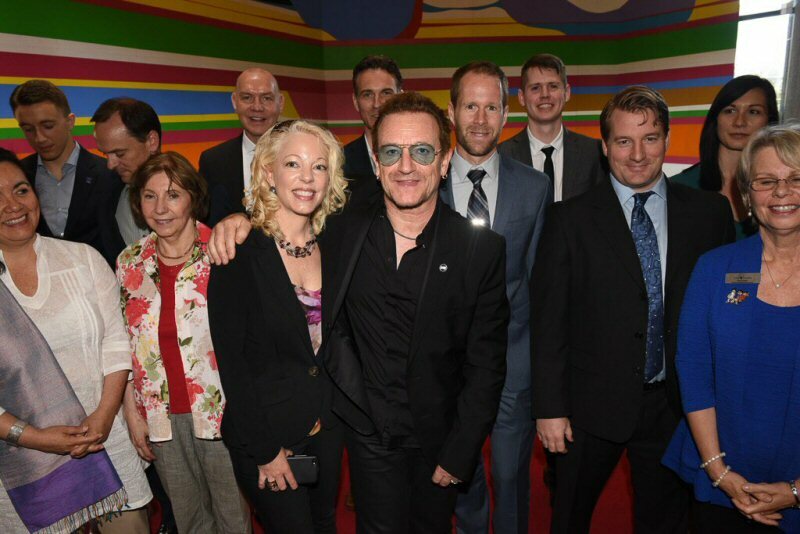 Bono, the lead singer of U2 and the cofounder of ONE, will be in Ottawa on Monday to meet with experts and supporters from the development sector on the #PoliticsAside campaign, as well as with political leaders from across the spectrum. The visit and partnership with EWB are part of a significant expansion of ONE's efforts to engage the Canadian public. The #PoliticsAside campaign is built on a February 2015 poll that found 94 percent of Canadians believe it is important to improve health, education and economic opportunity for the world's poorest people. Designed to harness this collective will, the #PoliticsAside campaign directs Canadians to www.politicsaside.ca, where they can email their political candidates to ask them to publicly commit to put #PoliticsAside in support of the movement to end global poverty. The #PoliticsAside campaign aims to reach all candidates in Canada's 2015 federal election and receive public commitments in support of international development from 70 percent of those candidates before the October election. The campaign also calls on Canadians to take further offline action to ensure their candidates put #PoliticsAside, including calling and meeting with their candidates and attending events. 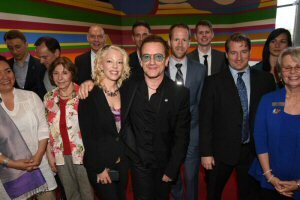 NGO representatives participate in a roundtable discussion hosted by Ottawa Mayor Jim Watson where Bono's ONE Campaign announced their partnership with Engineers Without Borders' #PoliticsAside campaign on June 15, 2015.